On the surface, the poem describes Dante's travels through Hell, Purgatory, and Heaven, but at a deeper level, it represents, the soul's journey towards God. Dante draws on medieval Christian theology and philosophy, especially the Summa Theologica of Thomas Aquinas. 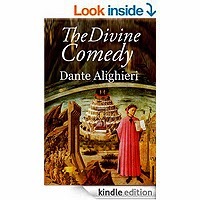 Consequently, the Divine Comedy has been called "the Summa in verse."